Progressive Machine Die (PMD) is a full-service Ohio metal stamper offering metal stamping design and prototyping, progressive die stamping, production, in-house tooling, assembly and is one of the few US manufacturers of conduit straps and hangers. 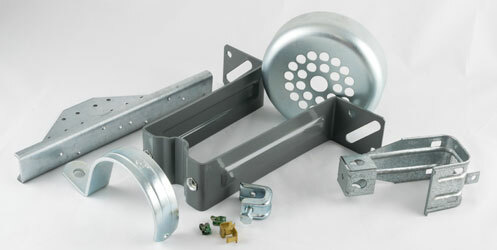 PMD manufactures stamped metal parts for a variety of industries such as: Hardware, Bearings, and Gas Distribution. Our company has grown and prospered through consistently meeting its customers exacting engineering criteria and demanding deadlines. This dedication has resulted in repeat and referral business that enabled PMD to evolve from a tool and die shop to an important niche-market supplier serving national and international customers. When you buy American made straps and hangers, you know you’re not only getting the best quality, you’re also supporting US manufacturing, US workers and their families. All PMD products are manufactured in the United States using domestic raw materials. 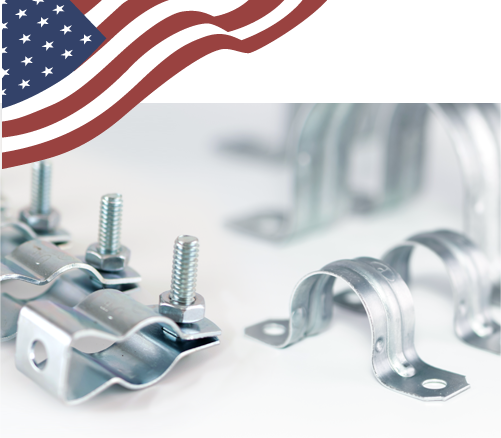 PMD manufactures both standard and custom designed conduit straps, hangers, reducing washers and other electrical hardware items using precision stamping equipment operated by skilled US workers — many of whom have been with the company for over fifteen years.